Java is a general purpose programming language as well as Software platform. For Test Automation with Selenium, Core Java/Java Standard edition is sufficient, Advanced Java is not required. Data Types are used in Test Automation for storing and comparing specific type of data. Access Modifiers are used in Selenium Test Cases to define access levels for Variables, methods etc… But most of the Time we use public access modifier only. Non-Access Modifiers static, final etc… are used in our selenium Test Cases. We use Variables in our Selenium Test Cases for storing and handling data. We use Operators in Selenium Test Cases for performing Arithmetic, Comparison, and Logical Operations. We use Conditional Statements in our Test Cases for inserting Verification Points, and for Error handling. We use Looping Statements in our Selenium Test Cases for repetitive execution(Ex: Data Driven Testing). We use Arrays in our Test cases for handling Excel file like Table format Data. Strings are more important for our Test Automation, whenever we read data from files and from Application objects then Computer program considers the data as String type data. We use Input for providing data for captcha (verification code) fields in our Test Cases. We use Output statements to display output on the Console. We use Text Files or Excel files as resource for Data driven Testing. Exception Handling is an important task in our Selenium Test Cases to handle Run-time errors. Some times we use Method OverLoading and Method Overriding features in our test Cases, but limited use. Ex: We create two or more methods with same name for easy maintenance. 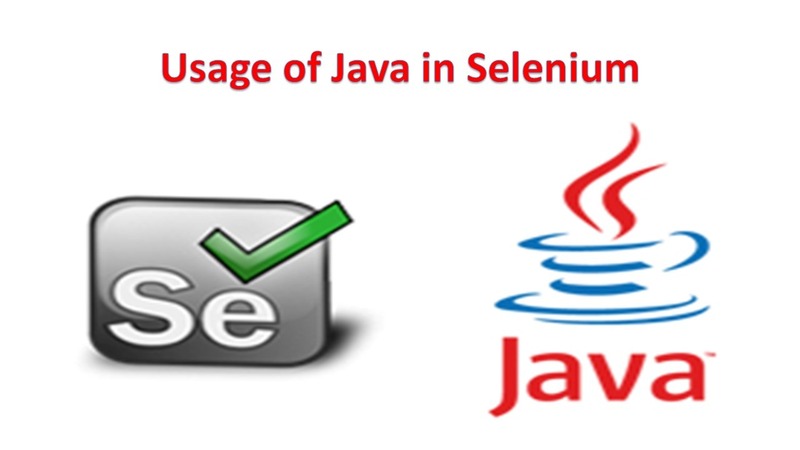 Abstraction feature is not used in our selenium, usually developers use this feature. Encapsulation feature is not used in Selenium, Usually developers use this feature for accessing private fields via public methods.